What could be more needed than a map when your traveling somewhere unknown! 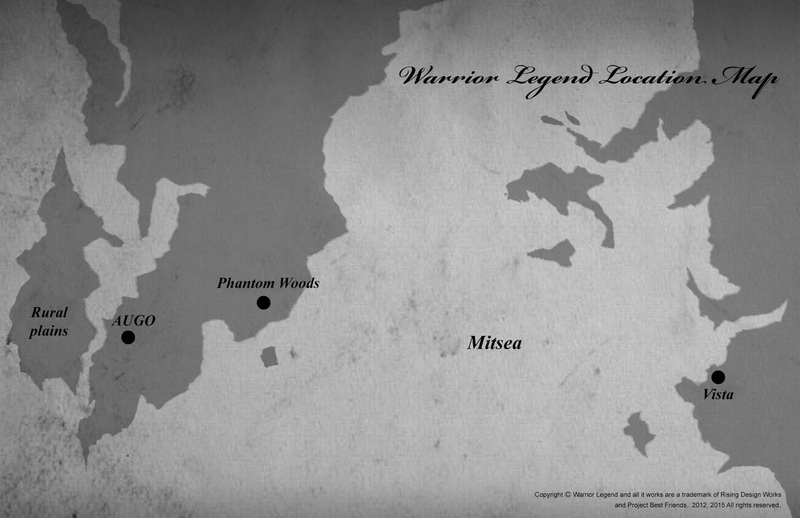 This is the so far the world map in Warrior Legend. To avoid spoilers I don't want to show it all but I want the reader (you) to know that its more to Warrior Legend then just a city named Augo and the forest Phantom Woods! Here is the map of The World of Warrior Legend, click on it to see!